Transform everyday staples like tomato sauce, roast chicken and green beans with the celebrity chef's simple meal tips. When someone is best known as the host of a show called "Bizarre Foods," you might expect that his go-to meals will involve some pretty unusual ingredients. 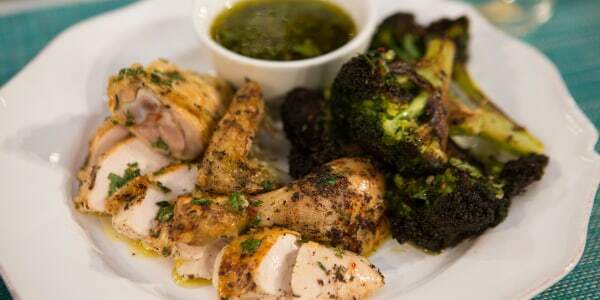 But in the hands of chef Andrew Zimmern, ordinary items like rotisserie chicken, steamed veggies and tomato sauce can become extraordinary — with just a few simple tweaks. Zimmern let us in on his secrets for turning several popular fridge and pantry staples into show-stopping meals that are easy enough to put together during the weekday. "Roast chicken is easy to cook and comfort food perfection," Zimmern told TODAY. "Leftovers can be used to make sandwiches, hash for breakfast or chicken salad, and the bones make the best stock." When you are choosing the herbs, spices and aromatics to add to your roast chicken, keep in mind what you might be using the leftovers for and try to use complementary flavors, or go with basic seasonings like salt, pepper and lemon that work well with nearly everything. Of course, if you don't have time to make your own, you can use a rotisserie chicken from the deli counter — just choose one that's relatively simply spiced so you can control the flavors you add to the new dish. "Roast chicken can be seasoned and treated a hundred ways," Zimmern adds. "I make a Peking chicken or grandma's version with stuffing and pan gravy, as well as everything in between. A roast chicken can be so many things." 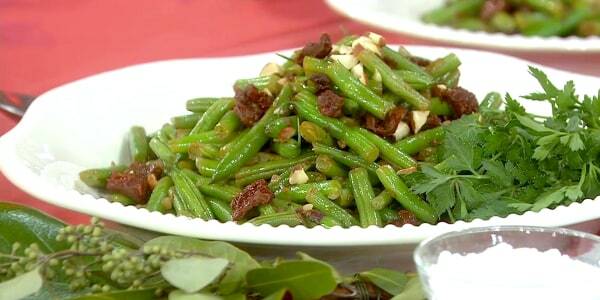 Zimmern keeps his fridge stocked with a variety of steamed or roasted vegetables, especially green beans, which he says he snacks on "constantly," and uses them in a variety of dishes. "Having a pound cooked off and in your fridge means that they can be ready in minutes," said Zimmern. He loves the "fresh, beautiful vegetal flavor" of green beans and the fact that they're available year-round. Steamed green beans are delicious hot or cold, in soups or stews, in pastas, in curries, omelets or stir fries or sautéed in brown butter, he said, adding that he also loves them cooked with Chinese black beans and chilies, in Costa Rican picadillo and in this tasty alternative to green bean casserole. "I love them in a sturdy mustard vinaigrette too," he said. "There isn't an easier salad I can't think of." Zimmern always has homemade tomato sauce in his freezer, ready to go for quick pasta dishes, soups and much more. 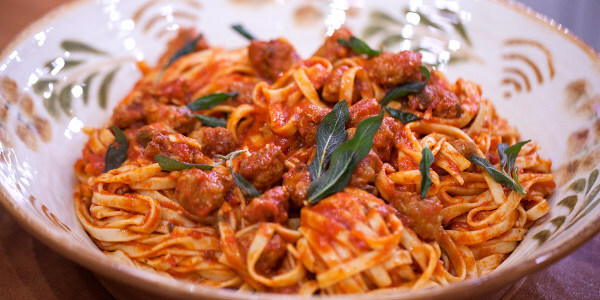 "There is no more appealing sauce in the world than tomato sauce," he says. "On its own, it's thrillingly bright over pasta or baked chicken, but is also a key ingredient on thousands of other foods, from chicken tikka masala to cioppino. It brightens so many dishes with its acidic sweetness and it thickens as it reduces. It’s singular in its necessity in any kitchen." Cook a big batch of whole grains, such as brown rice, bulgur, quinoa, farro or freekeh, at the beginning of the week and you'll be set to make quick side dishes, warm grain bowls, salads and even savory breakfast porridges all week long. 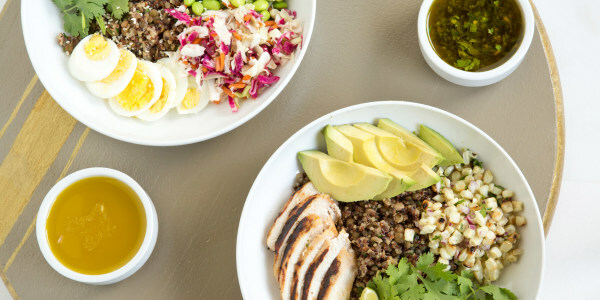 "I don’t think there’s a time in the last five years that you could open our fridge and not see some grain salads using quinoa and bulgur," said Zimmern, who loves the versatility and healthfulness of whole grains. "They are delicious plain, tossed with vinaigrette or simple fats like olive oil or butter." The grains, says the chef, can be served hot or cold, and they absorb other flavors well or play very nicely on their own. One of his favorite uses for pre-cooked grain is in a salad with some of his other go-to staples: "I love grain salads, like taking the farro and mixing it with the green beans and other vegetables, adding roasted chicken and some Meyer lemon vinaigrette," he added. 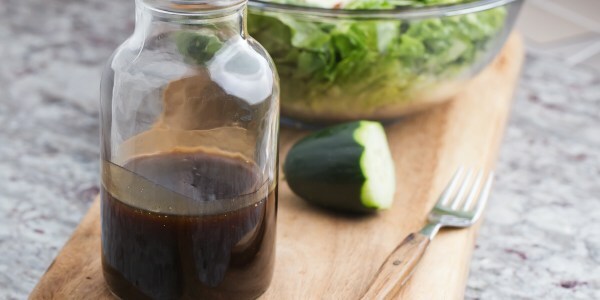 Store-bought salad dressing is convenient but Zimmern says it's worth making your own salad dressing. "It’s cheaper, healthier and tastes better than store bought and can be made with many staples and perishables in your fridge," he noted. Plus, in addition to using homemade dressing on salads, you can top vegetables with it and use it to marinate meat and fish. And, once you make a big batch, it can stay fresh for several weeks. Once you've mastered basic vinaigrettes, Zimmern says getting creative with all kinds of extras will become second nature. For example, if you have carrots lying around, Zimmern suggests roasting them along with ginger and then pureeing in a blender to make a classic carrot-ginger dressing. Then emulsify with soy, rice wine vinegar and add a splash of peanut oil. Yum. Added the chef, "That saves time and money, prevents waste and makes your food taste better." Zimmern final tip? Make big batches of these staples on the weekend (or whatever day works for you) and you'll be ready to serve up tasty and exciting meals all week long.